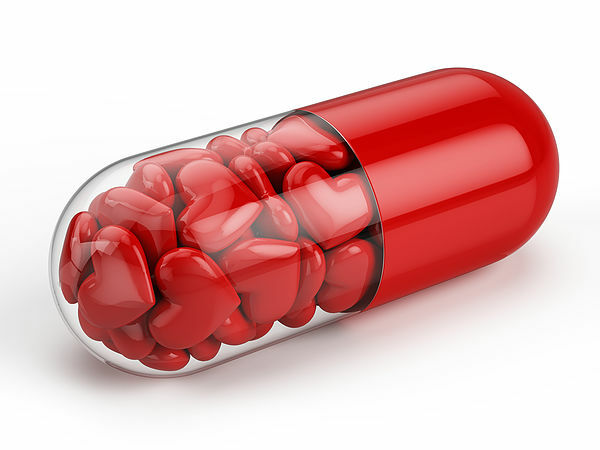 If you could take a free pill with no negative side-effects that has been proven to extend life, reduce perceptions of pain, strengthen the immune system, reduce the risk of depression and anxiety, and generate a sense of well-being, would you take it? That “pill” exists and is called positive relationships. Before I try to prove this to you, let’s back up a moment to put this idea in context. As I discussed in a prior blog, a leader in the science of human thriving, Dr. Martin Seligman (2011), says that happiness or well-being is made up of five elements: 1) positive emotion, 2) engagement, 3) relationships, 4) meaning and purpose, and 5) accomplishment. Together, these elements create the acronym “PERMA.” Five things you can do to enhance your happiness are to pick one PERMA element as your theme each month. I’ve already covered positive emotion and engagement. This month, we’re focusing on relationships—the “R” in PERMA. It turns out that this is just not a complete picture of our evolutionary history. Our need for connection to others has equally strong evolutionary origins (Lieberman, 2013; Grant, 2013). Helpless human babies could not have survived without strong attachments to parents. Families could not have grown into tribes…then villages…then cities without the development of close social bonds. As a result, we are hard-wired to need relationships and to feel that we belong. Our need for relationships to flourish is “among the best-supported hypotheses in the scientific study of well-being” (Haidt, Seder, & Kesebir, 2008). Good relationships may be the single most important source of psychological well-being (Peterson, 2006). Most of us probably have a common-sense notion that relationships are important. But most of us probably don’t realize just how powerfully relationships impact our psychological and physical well-being. A long line of studies in anthropology, sociology, and psychology establish that the need to belong is a “powerful, fundamental, and extremely pervasive motivation (Baumeister & Leary, 1995, p. 497). This need includes frequent contact with caring persons with whom we have long-term, stable relationships. I was truly surprised by the volume and findings of studies in this area. At the end of this article, I include a list of some of my favorites to give you an idea of what I’m talking about. These studies show, for example, that relationships and social support are linked to longevity; vitality of the immune system; reduced perceptions of pain and threat; reduced incidence of depression, anxiety, and cardio-vascular disease; higher goal-attainment; and overall better functioning and well-being. Social isolation is worse for you than smoking cigarettes. What About Intoverts? This includes introverts. One study showed that both introverts and extroverts were happiest while doing extraverted things. So, even introverts who may be predisposed against being outgoing will be happier if they muster the motivation to reach out and connect (Peterson, 2006, p. 97 n. 9). Although introverts generally score lower than extraverts on happiness scales, introverts with good social networks are as happy as extraverts (Baumeister & Leary, 1995). Capitalizing: Share Positive Events. People in positive relationships thrive not just by receiving social support but also by sharing with others. Sharing positive events with other people (the more people, the better) is called “capitalizing.” It boosts the events’ positive effects, which include positive mood, well-being, and self-esteem and less loneliness (Gable & Gosnell, 2011). Share Goals. Research also shows that what happens in close relationships affects what happens outside those relationships. For example, one study shows that the likelihood that individuals would attain personal goals increased when they disclosed those goals to close others (Gable & Gosnell, 2011). Cultivating good relationships at work is particularly important given the amount of time we spend there and the fact that nearly all work gets done (or not!) through/with other people. Research on relationships’ powerful impact on how we think, feel, and behave is so compelling that many organizational scientists now argue that the study of relationships should be at the center of organizational research (e.g., Dutton & Ragins, 2007). Positive relationships “grease the wheels” to make organizations run more effectively (Ellingwood, 2001). For example, researchers conducted an experiment in which 26 groups of three friends and 27 groups of three acquaintances were asked to build toy models. The friends built an average of nine models; the acquaintances built only 2.45. Gallup also has demonstrated that work friendships lead to better business outcomes. For decades, Gallup has been studying employee engagement with striking findings. It has found that only 30% of American workers are engaged in their workplace (Sorenson & Garman, 2014). This means that 70% of workers are basically going through the motions at work and are not performing their best. Gallup’s engagement survey has included this question: “Do you have a best friend at work?” A positive answer to that question has a strong relationship with profitability, customer loyalty, and retention (Ellingwood, 2001). This question more strongly predicted engagement than even pay or benefits. Build social networks and participate actively in them. Schedule a coffee social hour each morning. After a Gallup informed a chemical manufacturing plant that hardly anyone had a best friend at work, the company launched a coffee and doughnut social hour every morning and also organized company outings. When the survey was conducted a year later, 60% strongly agreed with the “best friend” statement. Their engagement also increased from the 53rd percentile to the 97th percentile. At meetings, ask the group to say something about themselves. Set an alarm to set aside time each day to get out of your office and interact with others. Organize happy hours or other social outings after work. Also consider activities during work hours for those with responsibilities that make after-work events difficult to attend. Ask a colleague or client to lunch rather than eating at your desk. Go for a walk with a colleague to take a break, recharge, and bond. Organize dinners in senior lawyers’ homes. In all of your interactions, try to cultivate “high-quality connections”—which includes conveying presence, being genuine, communicating affirmation, effective listening, and supportive communication. Abraham Lincoln is quoted as having said, “I’m a success today because I had a friend who believed in me, and I didn’t have the heart to let him down.” As Lincoln recognized, social support is critical to success. It also is a key ingredient to personal well-being. So get out there and connect! From a study that has tracked 268 men since the 1930s, scientists have identified factors that distinguish those with the happiest, fullest lives from the rest. Relationships topped the list. George Valliant, a psychiatrist who led the study for 40 years, succinctly summarized the study’s findings this way: “Happiness IS love—full stop” (Valliant, n.d., p. 10; Valliant, 2009, p. 2). In a review of cross-national studies, only one factor consistently predicted subjective well-being in every country studied—social relationships (Diener, 2011). In a study of 222 college students, researchers found that the happiest among them uniformly had rich and satisfying social relationships and spent little time alone relative to average people (Diener & Seligman, 2002). In another study, female participants anticipated mild electric shocks while in an fMRI scanner. Participants who held their husband’s hand showed a lower reactivity in brain regions related to threat and negative affect. The higher the quality of relationship, the lower the stress response (Coan, Schaefer, & Davidson, 2006). Another study similarly showed that the presence of a loved one reduced the perception of physical pain (Gable & Gosnell, 2011). Married adults are physically and emotionally healthier than non-married people (Peterson, 2006). In an experiment that induced stress, study participants reporting strong social support had lower cortisol and stress-related brain reactivity. The researchers concluded that social support influences the brain’s response to threats, which keeps biological responses to stress at lower levels (Taylor, 2011). Social support can counteract genetic responses to stress. For example, studies show that when people have social support, even genes that would normally predispose them to negative stress responses (e.g., depression, anxiety) are expressed differently and may even be protective against the adverse effects of stress (Taylor, 2011). A study found that the presence of a friend led observers to perceive a hill that they were told to climb as less steep (Gable & Gosnell, 2011). Large-scale studies have shown that social isolation is associated with a substantial increase in all-cause mortality risk (Gable & Gosnell, 2011). Low social integration “is a risk factor for mortality whose age-adjusted relative risk ratio exceeds that of cigarette smoking” (Reis & Gable, 2003, p. 130). Poor-quality relationships or lack of social ties are linked to cardiovascular problems and immune system deficiencies (Gable & Gosnell, 2011). Relationships are the most common response to the question of what gives life meaning (Steger, 2009). Researchers have consistently found that being part of a group with which one strongly identifies is associated with greater well-being. These findings strongly suggest that people derive satisfaction from the sense of being a part of something larger than themselves (Haidt, Seder, & Kesebir, 2008). Studies show that relationships influence the operations of most basic psychological processes, including cognition, emotion, and motivation (Reis & Gable, 2003). Research shows that sharing good news increases the positive affect above and beyond the positive event itself (Gable & Gosnell, 2011). When people share positive events with others, they experience more positive affect, well-being, self-esteem, and less loneliness than is attributable to the events themselves. The more people with whom they share the good news the better the outcome. Research shows that what happens in close relationships affect what happens outside those relationships. For example, one study shows that the likelihood that individuals would attain personal goals increased when they disclosed those goals to close others. (Gable & Gosnell, 2011). Interpersonal relationships strongly influence what we think about and our emotional state. The need to belong is linked to “cognitive processes, emotional patterns, behavioral responses, and health and well-being” (Baumeister & Leary, 1995, p. 522). Coan, J. A., Schaefer, H. S., Davidson, R. J. (2006). Lending a hand: Social regulation of the neural response to threat. Psychological Science, 17, 1032–1039. Diener, E. (2001, Feb.). Subjective well-being. Address presented at the annual meeting of the Society for Personality and Social Psychology, San Antonio, TX, cited in Reis & Gable (2003). Dutton, J. E., & Ragins, B. R. (2007). Exploring positive relationships at work: Building a theoretical and research foundation. New York, NY: Psychology Press. Gable, S. L. & Gosnell, C. L. (2011). The positive side of close relationships. In K. M. Sheldon, T. B. Kashdan, & M. F. Steger (Eds. ), Designing positive psychology: Taking stock and moving forward (pp. 265-279). New York: Oxford University Press. Grant, A. (2013). Give and take: A revolutionary approach to success. New York: Viking Press. Haidt, J., Seder, P. J., & Kesebir, S. (2008). Hive psychology, happiness, and public policy. Journal of Legal Studies, 37, S133-S156. Lieberman, M. D. (2013). Social: Why our brains are wired to connect. New York, NY: Crown Publishers. Shenk, J. W. (June 2009). What makes us happy? The Atlantic Monthly. Retrieved from http://www.theatlantic.com/magazine/archive/2009/06/what-makes-us-happy/307439. Sorenson, S. & Garman, K. (2014). How to tackle U.S. employees’ stagnating engagement. Gallup Business Journal. Gallup, Inc.: New York, NY. Retrieved from http://businessjournal.gallup.com/content/162953/tackle-employees-stagnating-engagement.aspx. Taylor, S. (2011). How psychosocial resources enhance health and well-being. In S. Donaldson, M. Csikszentmihalyi, & J. Nakamura (Eds. ), Applied positive psychology (pp. 65-77). New York: Psychology Press. Valliant, G. E. (n.d.). Happiness is love: Full stop. Retrieved from http://www.duodecim.fi/xmedia/duo/pilli/duo99210x.pdf. Valliant, G. E. (July 16, 2009). Yes, I stand by my words, “happiness equals love—full stop.” Positive Psychology News Daily. Retrieved from http://positivepsychologynews.com/news/george-vaillant/200907163163.